The goal of You Can Lucid Dream.com is to provide practical tools and valuable information on how to become lucid in a dream. This information will be presented in short, easy to understand segments that are not sensational and don’t require a lot of past dreaming experience. It will be based on scientific research, and flavored with a bit of enchantment, philosophy, and nature. We believe that everyone should at some point in life pursue lucid dreaming as a topic to understand and strive for. Since lucidity is about awareness, it leads to insight, and a deeper understand of the human experience. It is also a fascinating state of mind with a lot of potential for creativity, introspection, and personal growth. Specific techniques that have step by step instructions you can keep by your bed. Access to a social network to share dreams and learn from other dreamers. 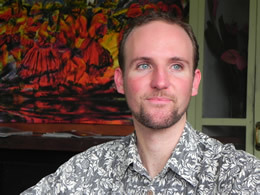 Richard Hilton has nurtured an abiding interest in lucid dreaming since 1998. Inspired by a heartfelt appreciation for its potential benefits, particularly in the area of personal development and introspection. In 2003 he produced a short documentary film call “Explorers of the Lucid Dream World“. Since then he has presented and co-facilitated several dream workshops in the Santa Barbara area, participated in research experiments, and assisted with The Lucidity Institute’s Dreaming and Awakening programs since 2010. Richard Hilton is a web developer by trade. He has designed and implemented numerous websites from E-commerse to hobby side projects. To learn more his projects visit BulbMedia.com or contact him directly.